The rules of buying properties or make any real estate investment at all has always been to “pursue value over settlement”. Goa is one of those places that comes to mind when one is about to tour for business or pleasure. When touring, one is forced to look out for and research about popular places and resorts. The aim of this research is to check out if existing activities are suitable for purpose of tour. In this same light, those who are business oriented get to do their own findings depending on the business advantage it offers them. As a business return investor, things to look out for are opportunities to invest in to keep attracting user interest. The location of choice should be able to offer an investor a vacant land for sale to enable possible remodeling. The proposed land for sale can also have an established property to be taken over by its new owner. Due to the current rise of user interest in Goa, it is the best time to own a luxury home in India. 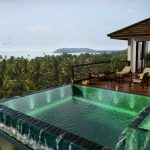 Why Consider Buying Luxury Apartments in Goa? 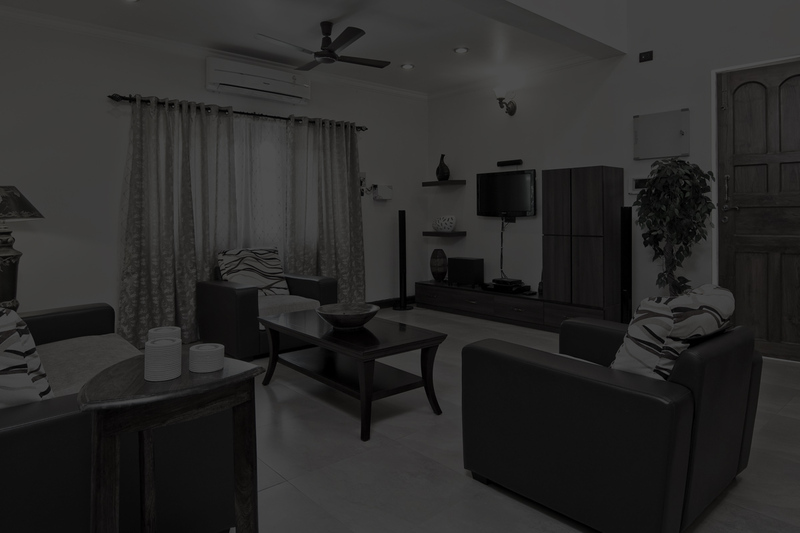 As a frequent visitor to Goa for individual or business need, to own an apartment will come in handy. If not for any other reason, to provide the best hospitality and reduction of expenses. Goa and its people (Goans) are a set of peaceful and fun-loving individuals in the heart of India. As loving and hospitable as they are, the land itself has been said to work in favor of its people. If your zeal to own a luxury apartment drives towards a peaceful environment, then Goa is the best place to be at. Going for a vacant land for sale can give you room to remodel an idea into reality. Goans are invested in fishing and have a mixture of Christian, Hindu and Muslim populace. This gives rise to a lot of festivities within the locality and seems to be the reason user interest is getting high by the day. They jointly participate in every recognized festival which has subtly promoted and welcomed tourists of different kinds. As an investor, you can acquire any piece of land for sale in Goa and create a dynamic business that can attract even more tourist. Goa is a welcoming place for both individuals and businesses alike and promotes hospitality for residents and revenue seekers. 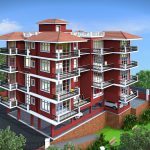 Your plan for the proposed apartment you are about to purchase will help you determine the part of Goa that you need to invest in. The purpose of purchase will help you narrow down the perfect location for you. While pursuing a vacant land for sale to develop your proposed luxury apartment, try to also lookout for builders who are open to remodeling. Not all developers are willing to remodel the land for sale or have the expertise to carry out the ideas you have in mind. One should look out for a real estate advisor with the necessary expertise. They would always have the keener eyes to details necessary for your one in a long-time luxury home. You should also evaluate the number of stay-in guests you plan on having in your proposed apartment. Will the vacant land for sale be spacious enough to hold the number of guests you have in mind? Will the land for sale serve your business idea of a luxury home? The location of choice should be in an accessible area. One through which services like transport, mail delivery, wi-fi connectivity, and home delivery services are fondly available. As important as every other factor is, this is the most prioritized of them all. The proposed neighborhood should have people of like minds as you. It should also be a peaceful environment that has the necessary functionalities and social gathering amenities as you deem fit. Quite often the need for a second or vacation home comes to mind. This means a location that provides all the fun, security and saneness is the first priority. Goa offers the serenity on a good day and the boisterous activities on other days. 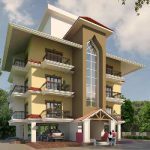 Affordable Luxury Apartments & Villa in Goa by Horizon Land Developments are most sought after real estate asset in Goa. Trust horizon for quality yet affordable property with modern amenities at best location in Goa. Rachel Stinson has always had a knack for writing, analytics, food, fashion, and places. Blogging has combined all four for her with an added bonus of enthusiastic audiences. She expertly analyzes real estates, restaurants and dignam with respect to pricing and people involved and can express her opinions in an unhesitant, engaging manner for all matters. 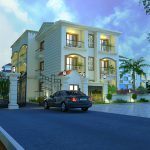 Previous Post Affordable Luxury Apartments or Opulent Villas – Which One Should You Choose? Next Post Why Reis Magos, Goa Is Hot Real Estate Investment Destination ? Appreciate ! Your feedback in encouraging.